Welcome to the Realsolve Group. We are an association of experienced, successful and multi-talented real estate professionals formed in 1998 for the purpose of providing a broader and deeper approach to the use of real estate assets in achieving successful outcomes for our clients. We are committed to excellence and performance in assignments including site acquisition, leasing, development and re-development, renovation, management, and overall related business consulting. Realsolve originated at the end of a very successful 12 year adventure I had as the COO, General Manager and Corp President of the University Technology Center located next to the University of Minnesota in Dinkytown (link attached along with general info in my bio) with an ancillary facility located in Stadium Village. Although the UTEC sites have since been redeveloped, in their heyday the facilities comprised over 240,00 SF of space originally used as a school building (Dinkytown location) and office and light industrial space (Stadium Village). 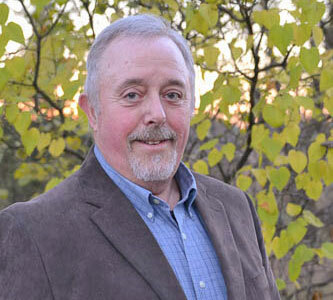 The mission statement was to operate as a business incubator for start ups, enterprise center to support growing for-profit business and a safe harbor for non-profits and University offices in transition. At any one time we housed an average of between 140 and 150 businesses and special use offices. The experience of working with so many different users and learning to collaborate on how the assets and advice we provided could lead to the successful operations of so many diverse tenants fundamentally changed my perspective of the function of real estate as a business asset. When I left that position in 1998, Realsolve was founded and then as today, we remain as committed to our slogan as our core mission statement of what we can and will successfully provide to our clients. I, and my associates, all have many years of hands-on, professional and successful experience in a broad range of real state skills. One of our most important skills is that we are good listeners and believe in incorporating both creativity and practicality in our advice and actions on behalf of clients. We are collaborators and team players. We work closely with every client be they buyers, sellers, non-profits, schools, start ups, businesses, communities or combinations of these entities to identify desired results, envision the process and the outcomes desired and then execute a successful result. 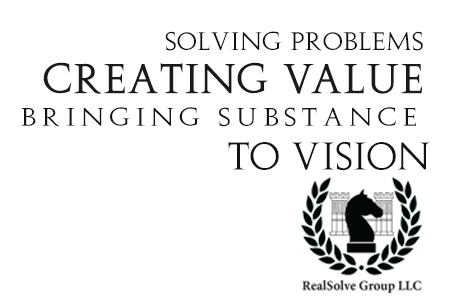 If you have a real estate component to a vision you wish to achieve, a problem you need to solve or simply value you wish to create and capture, consider connecting with the Realsolve Group for your solutions.